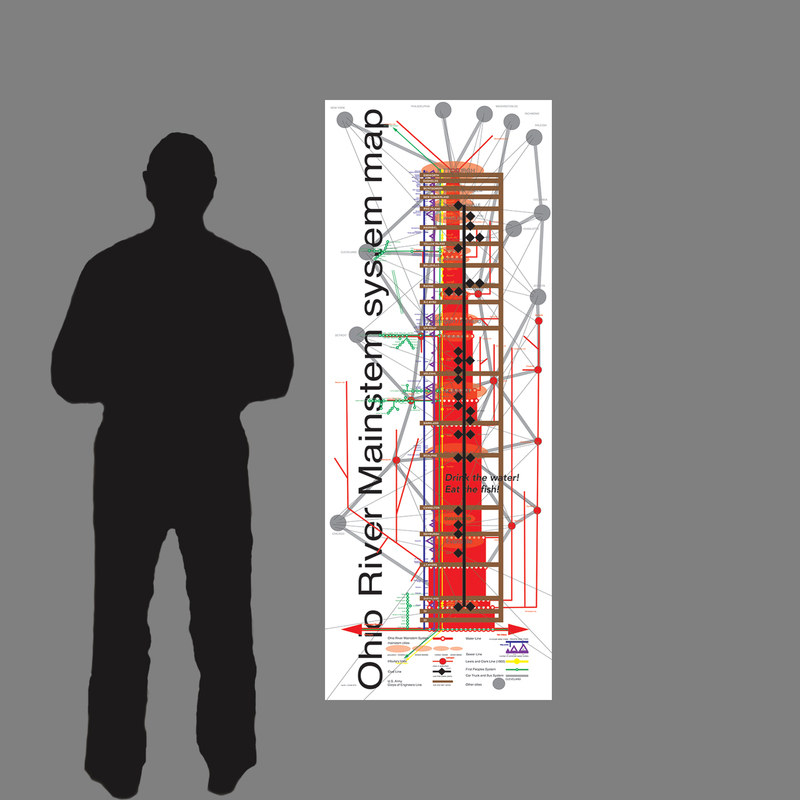 For more information about the Ohio River Mainstem system map, please contact us! Signed prints of the Ohio River Mainstem system map are available. 36″ x 24″ archival inkjet print on photographic paper : $100. 6′ tall (72″ x 27″): $1000. 5′ tall (60″ x 23″): $700. 4′ tall (48″ x 18″): $450. Please inquire using the form below. What topics drew you to this site? (required) Informational graphics Ohio River Subway systems Environmental issues Fine Art Other: Please explain below. Thanks!